Will get you back up & running. Fast, Simple, Cost-Effective & Convenient. 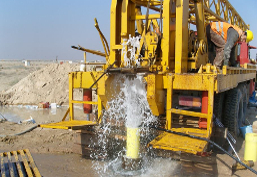 Reliable water well service at affordable rates. No job is too big or too small! Annual maintenance checks to ensure the proper operation of the well and prolong its years of service. 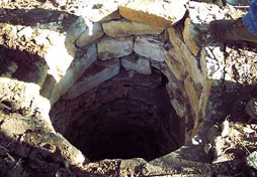 Texas State Law requires all abandoned or unused wells to be plugged. 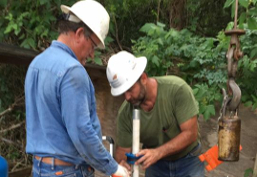 It is important to have routine well inspections & annual water well checkups. Thank you so much for the quick response and repair today on the water well issue. I truly appreciated your patience with my novice questions and inexperience. You addressed every one of them, quickly repairing the well and ensured that I understood the issue. Great job and thank you for your kindness. 77 WATER WELL INC. was amazing! They are great communicators and prompt with appointment timing. Very knowledgeable and answered all my questions. Would definitely use them again, and recommend to anyone. AWESOME!!! Shelly and James were so informative and helpful. They quickly replaced the air controller in my well pump. James even cut down a small tree that was too near my well pump. I would HIGHLY recommend them. 77 water well made a stressful situation enjoyable. I highly recommend their service. Very responsive! Received a call within an hour of the online request, and two more updates on timing before they arrived. 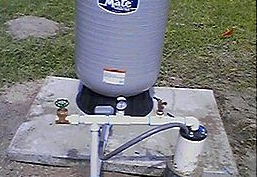 They were able to resolve the issue and looked up more information about my water well. I'd definitely use them again. Very professional and courteous. I found this contractor to be very knowledgeable and honest. I am definitely using them for all my well. The owners came out same days as called. They explained everything as they worked on servicing my well. Fortunately, a leaky valve (nothing major) was causing the issue so it was a quick repair. After the work , they took time to answer my questions. If I ever have another issue with my well, I will definitely call 77 Water Well. You guys (once again) saved me! Thank you so much for your incredible kindness, professionalism, and skill!!! Great people and very helpful. I look forward to our future projects with them. James is awesome, he explains everything and doesn't try to rip you off. Just a nice honest person to do business with. When most other companies are closed on the weekend, 77 Water Well was willing to come out on a Sunday evening. They were awesome! James was very nice and explained every thing that he was doing. He was very easy to talk to and extremely helpful. We have water again thanks to him. Why Choose 77 Water Well? Competitive pricing on all parts and services. No hidden surcharges of any kind! All costs are determined upfront! We offer 24 Hour response 365 days a year in Houston, Tomball, Magnolia, Waller, Cypress, and Conroe. Open Thanksgiving and Christmas.